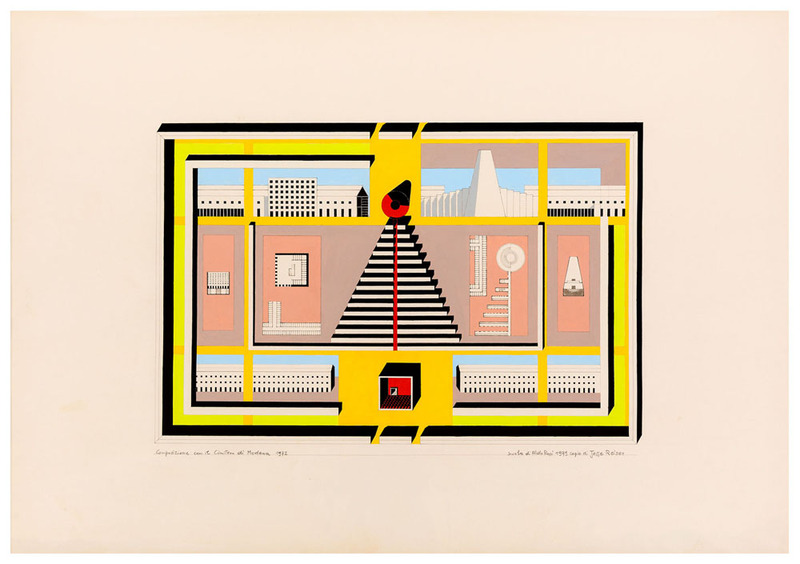 ‘Architecture Itself and Other Postmodernist Myths’ is the enticing title of the current exhibition at the Canadian Centre for Architecture (CCA). Curated by Sylvia Lavin it proposes a timely rereading of postmodernism, from the mid 1960s to the mid 1990s, which moves beyond the period’s self-generated theories, stylistic commonplaces and images. The exhibition’s assumption is that postmodernism was, in fact, disseminated primarily through images, and that visitors will thus have a clear idea of what it is as they enter the CCA gallery. In the vein of Moshe Safdie’s critique of postmodernism as ‘private jokes in public places’, the exhibition’s strategy of shooting down the ‘myths’ associated with these images risks missing its mark – you are either already versed in these myths or quickly initiated into them, only to have the tables turned. While ‘Architecture Itself and Other Postmodernist Myths’ presents a multiplicity of postmodernist approaches, a focus on the big names of American postmodernism and on postmodernism’s own archives means it straddles a fine line between countering the myths and shoring them up. In 1994, Peter Eisenman had a one-man show at the CCA called ‘Cities of Artificial Excavation: The Work of Peter Eisenman, 1978-1988’. Models and drawings of the architect’s work were framed within a pastel-hued installation of his own design, its angled walls and ceilings winding their way through the existing galleries. At the entrance to the present-day exhibition, a small piece of this earlier retrospective is reproduced in brown cardboard to introduce the titular ‘myth’: that of an architecture unburdened by function, materials and outside forces, and of the autonomous architect as its author. Inserted into a space that already has walls and ceilings, Eisenman’s installation produces an overwrought effect, a kind of imposition of the architect’s imagination on our physical environment. Yet this imagined space is, of course, entirely dependent on its materiality. The exhibition thus ‘exposes’ the myth by displaying fragments of the original installation (in painted wood and gypsum) alongside Eisenman’s cardboard models, ‘meticulously preserved’ proof of the falseness of the myth. Not everything in ‘Architecture Itself’ is quite so laboured. But the introductory sequence demonstrates how the exhibition, which assembles its narrative out of pre-existing ‘myths’ (objects, reproductions, texts, an audio guide, and perhaps a tour by a staff member of the CCA), has at times the feel of an elaborate series of calculations that, eventually, arrives at an answer. Its main argument is that postmodernism has not been sufficiently historicized, and that contemporary understandings depend too strongly on architects’ own ideas and statements about their work. Since it relies on the audience’s familiarity with these commonplaces, and doesn’t overtly engage with existing scholarship, it’s difficult to assess this contention. 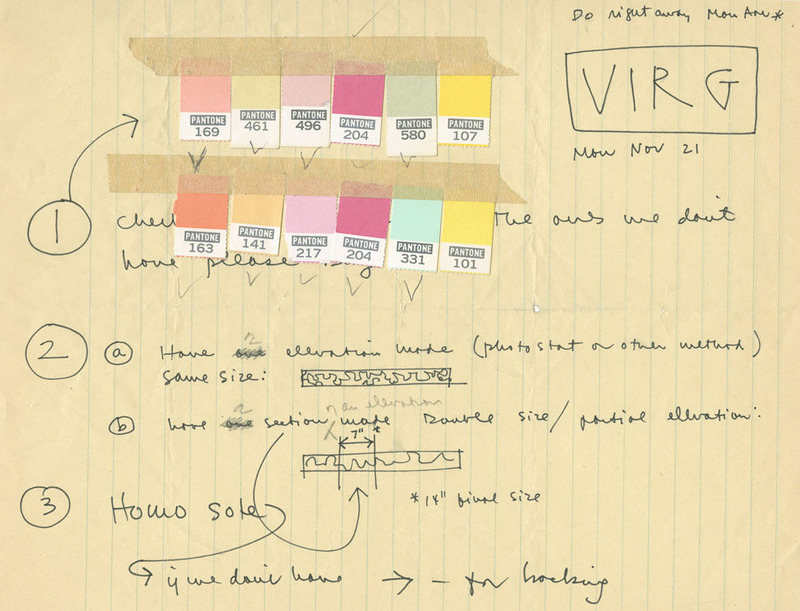 In effect, its approach appears to oppose history to theory (or ‘myth’) with an assemblage of archival evidence: detritus like letters, logbooks, notes, sketches, invoices, and building fragments. This line of reasoning extends through the first two galleries, which look at the role of institutions and communications technologies, respectively, as forces impinging on the idea of ‘architecture itself’. The boundaries between myth and history blur because the exhibition has, to some extent, to present the myths it claims to counter. Thus, we learn about the Best Products showrooms as ironic postmodernist icons at the same time as the role of institutions like the Museum of Modern Art (MoMA), with its 1979-80 exhibition ‘Buildings for Best Products’, in creating a market for such forays into ‘architecture itself’. The juxtaposition of the MoMA exhibition catalogue with a catalogue from Best Products, an American retailer that went bankrupt in 1997, perfectly underscores this point. Other institutions like the Getty Center, Deutsches Architekturmuseum (DAM), and, of course, the CCA, also perpetuated this myth by buying, commissioning and exhibiting ‘architecture itself’. Much of ‘Architecture Itself’ has this feeling of lifted curtains and truths revealed, but if you peel back enough layers, you seem to return to where you start. 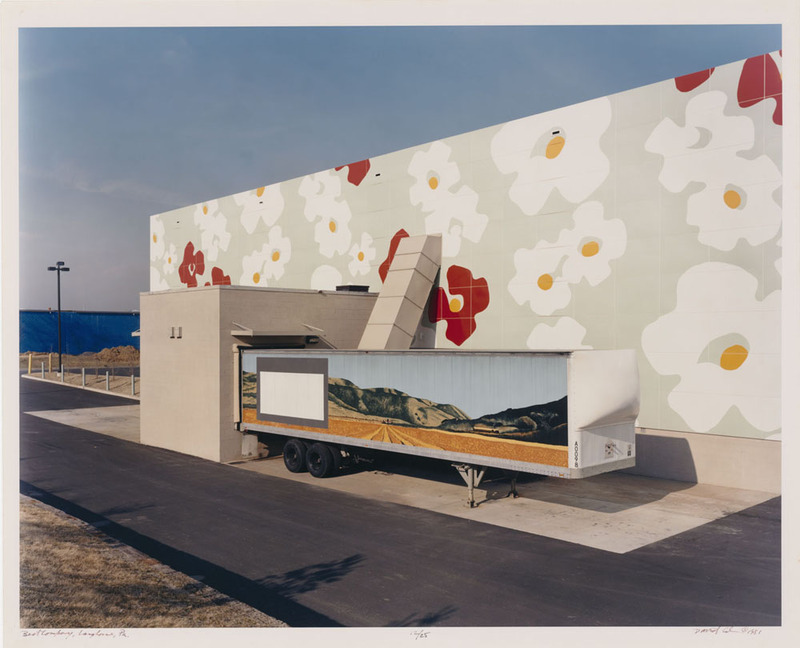 Like the irony of seeing an exhibit about the very institution you are standing in as a perpetuator of myths, the next gallery’s interrogation of one of postmodernism’s most repeated images leaves its mythical status intact. The gold-anodized, nonfunctional antenna atop Venturi and Rauch’s Guild House in Philadelphia is a perfect example of the exhibition’s notion of a postmodernist ‘myth’. In Complexity and Contradiction in Architecture, Robert Venturi provided two pre-packaged interpretations: the antenna as an abstract sculpture, and as a ‘symbol of the aged, who spend so much time looking at TV’. In the audio guide to the exhibition, Lavin deftly weaves a different story of the antenna, which only became a nonfunctional ornament after the budget for a working antenna was cut. Tying in issues like televising the civil rights movement and technological developments in cable TV, this new story insists that external forces were constantly impinging on architects’ supposedly independent decisions. The smallest artifact in this section, a business card for a Philadelphia-based electronics firm specializing in ‘master T. V. antenna systems’, provides a particularly ironic moment of revelation. Long absent from its original location, the antenna nevertheless retains mythical status in the postmodern canon – in the exhibition, too, because once you’re done listening to the audio guide and reading the texts, you’re left looking at a very important antenna. Amid its historicizing efforts, ‘Architecture Itself’ examines postmodernism’s own, much-touted interest in history, including its professionalization, architects’ use of it (‘an architect might begin designing a building with a trip to the library instead of a sketch, as could a historian begin writing a book by taking a photograph or producing a drawing’ according to the text on the wall), preservation, and revisionist histories, as demonstrated by a poster for the 1977 exhibition, ‘Women in American Architecture: A Historic and Contemporary Perspective’. An entire wall is dedicated to European and Euro-American observers’ documentation of Pueblos and natural features in the American Southwest. Material-like postcards collected by Vincent Scully, Hans Hollein’s sketches, and photographs by Gianni Pettena and Aldo van Eyck demonstrate the period’s acceptance that North American history did not begin with European settlement, but simultaneously cast indigenous communities as modernism’s romanticized ‘other’ (1). 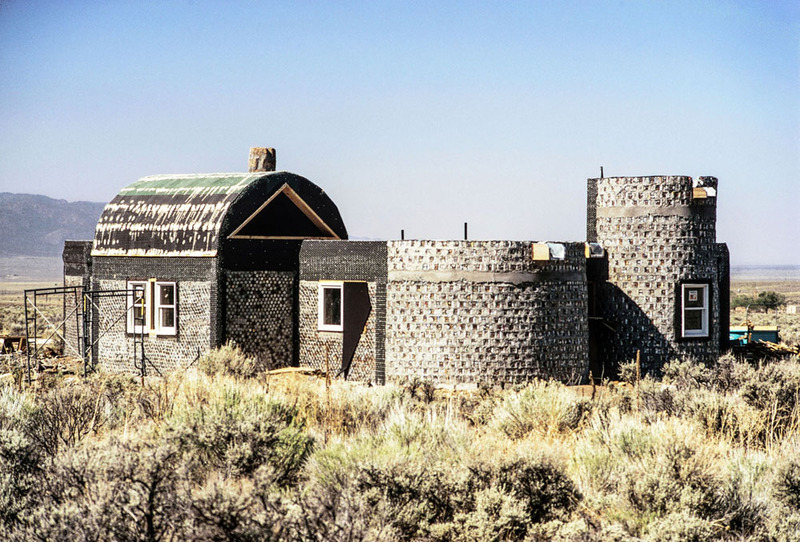 The exhibition explains outsiders’ interest in these communities through George Kubler’s concept of American time, a ‘temporal collapse’ in which Indigenous peoples and their architecture appear to exist in a remote past. This interest functioned as an antidote to modernism and was elaborated in many books on vernacular, folk and indigenous architectures in the second half of the twentieth century, perhaps most famously in Bernard Rudofsky’s 1964 book Architecture Without Architects: A Short Introduction to Non-pedigreed Architecture, based on a MoMA exhibition of the same name. The amount of wall space dedicated to these ‘American time’ artifacts, as well as their appearance on a giant banner on the CCA’s exterior, is inversely proportional to how much critical perspective they are afforded. In 1990, Pueblo architect and scholar Rina Swentzell wrote about the ‘conflicting landscape values’ of the Pueblo’s traditional architecture and settler-colonial incursions in the form of government structures and assimilation schemes from as early as the 1890s (2). Through work like this, we can see the relationship between the Pueblo and its observers not in terms of the fiction of time travel but of cultural difference and the continuation of the continent’s history of colonialism. In this case, the exhibition’s reliance on postmodernism’s own archives means that some potential exit avenues from ‘postmodernism itself’ are precluded. Without considering perspectives from outside the canon, important insights can be missed. Postmodernism’s engagement with alternative revenue streams is effectively shown through material produced by architects acting beyond the strict confines of ‘architecture itself’. A series of shows at the commercial gallery of Leo Castelli in New York, for instance, demonstrates architects’ evolving understanding of the business imperatives of the art world. My favourite objects in ‘Architecture Itself’ are the ‘follies’ designed by Diana Agrest and Mario Gandelsonas for the final Castelli exhibition in 1983, ‘Follies: Architecture for the Late Twentieth Century’. Framed within deep wooden shadow boxes, four fantastical models sit isolated against soothing, indeterminate landscapes, both charming and strange. The exhibition doesn’t deal with the possibilities opened up by this imaginative mode of practice, or its potential to affect built realities. Though presented as evidence of ‘the degree to which galleries and their networks of private, corporate, and institutional collectors had become architecture’s principal client’, this conclusion applies, at best, to a handful of already-famous figures. The consistent focus on established names means that there is little space for other voices, and the exhibition’s attempt to include diversity within the theme of ‘bodies’ seems forced and somehow detached from the central issue of postmodernism and its myths. This is, rather, an opportunity to enjoy original work by the likes of Madelon Vriesendorp and Lebbeus Woods. The final gallery, conversely, problematizes the physical matter of drawings and building elements, sometimes effectively, such as highlighting that the pavers at Charles Moore’s Sea Ranch were milled from old-growth trees, and sometimes less so, like Venturi Scott Brown being unable to match a colour for their Best Products showroom façade and being asked to choose from among Pantone colours. These insights in no way diminish the mythical status of these architects and their projects, but rather further initiates us into their mysteries. ‘Architecture Itself’ is not an exhibition about buildings, but about postmodernism’s diverse practices, such as research, exhibition, representation, theory, and economics. It is largely an ‘insider’s exhibition’, as architecture critic David Theodore so succinctly puts it, which I think reflects the self-contained nature of the version of postmodernism it presents (3). What is barely touched on is the way the projects in the exhibition have entered time, and thus gone beyond themselves. 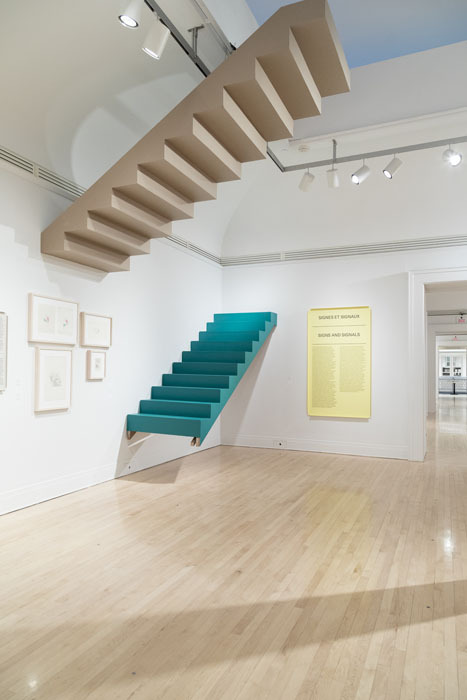 If a staircase and handrail from Eisenman’s houses are in the gallery, it means someone altered those buildings, out there in the real world. The mundane process of heritage listing, too, has started to absorb postmodernism (James Stirling’s No 1 Poultry in London and Philip Johnson’s AT&T building in New York are two recent examples). There are some really nice, coloured-pencil elevations of Michael Graves Portland Building in the exhibition, but the actual structure is falling apart and the building is now closed for renovations (a spectacular photo on Wikipedia shows the denuded building, so famous for its façade, getting made over)(4). This observation perhaps pertains to architectural history as a whole, which is generally less interested in what happens to buildings after they are built than the design process and what it looks like on opening day. ‘Architecture Itself’ to some extent perpetuates the foremost myth it claims to counter by ignoring this built reality. It does, however, offer significant points of departure for further exploration as a massive archive, and it has served this purpose by hosting tours based on alternative interpretations and providing the foundation for a forthcoming book. It reminds us, too, that architecture is always shaped by a much wider set of forces than is readily apparent. Architecture Itself and Other Postmodernist Myths, installation view, CCA, 2018. Photographer: Sandra Larochelle. 1 See, for example, Hilde Heynen, ‘Anonymous Architecture as Counter-Image: Sibyl Moholy-Nagy’s Perspective on American Vernacular’, The Journal of Architecture 13, no. 4 (2008): 469–91. 3 David Theodore, ‘The CCA’s Postmodernism Exhibition Raises the Dead’, Azure Magazine, November 8, 2018. Magdalena Milosz is a writer and PhD student in the Peter Guo-hua Fu School of Architecture at McGill University (Montreal, Canada), where her research focuses on the role of architecture in assimilation policies toward Indigenous peoples in mid-twentieth-century Canada. She holds a Master of Architecture and a Graduate Diploma in Cognitive Science from the University of Waterloo (Canada).